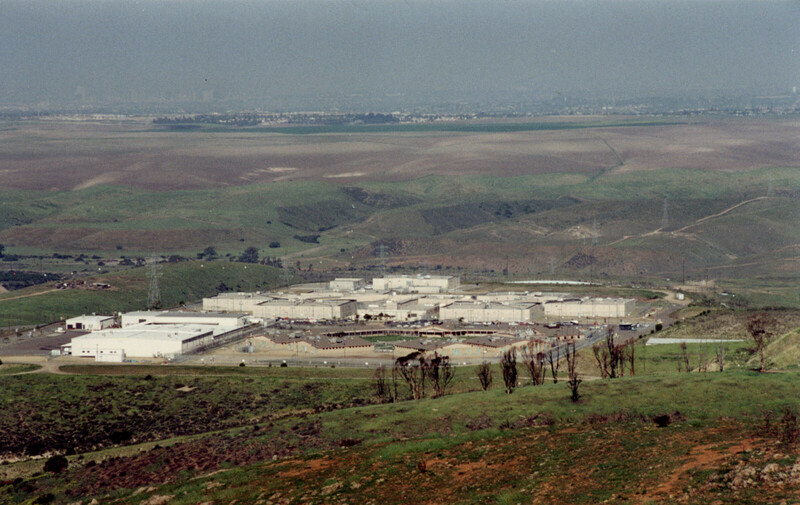 A number of incarceration and law enforcement facilities are clustered on Otay Mesa, near the international border with Mexico, east of San Diego. The Richard J. Donovan State Correctional Facility was designed to hold 2,200 inmates, but has a current population of around 3,100 (in 2015). As with many prisons in the state, overcrowding is forcing the use of gymnasiums and recreation areas to house prisoners. Also located here, at the end of the road on Otay Mesa, is the George Bailey County Detention Facility, with a rated capacity of 1,380 inmates; the Corrections Corporation of America's San Diego Correctional Facility, with a rated capacity of 1,040 (used by both the INS and the US Marshal's Service); the East Mesa Reentry Facility, operated by the San Diego County Sheriff's Department, with a rated capacity of 760; and a new law enforcement training complex built by the FBI, Customs Service, and local police.